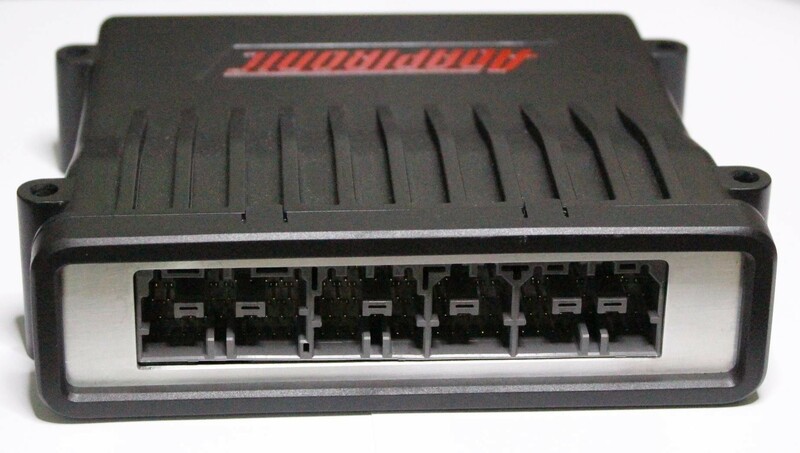 This product is one of Adaptonic’s plug-in ECUs. Also called RX7 S8 or FD Twin Turbo JDM. Our main objective in creating the Adaptronic Modular ECU line is to work towards Adaptronic’s mission which is to give people control. In doing this, we came up with a system which would give people greater flexibility and at the same time, overcome the limitations of our main product line, the Select ECUs. Tacho output has inductor to generate back-EMF spike for impulse tachometers. Standard USB mini AB connector.